NPR Suggests Cattle Degrade The Environment | Land & Livestock International, Inc. It is a semi-true statement to say that “cattle” have damaged the environment. But only semi because it was not the cattle themselves that did it. In years past, it was the mismanagement of those cattle–not enough cattle on too much land for too long. Nowadays there is no excuse for it. In response to NPR’s negative article about cattle grazing and the planet, here are three ways cattle help the environment. I was disappointed to read Eliza Barclay’s article, “How Your Love Of Burgers May Be Helping To Drive Wildlife Extinct,” which appeared in NPR’s The Salt recently. The article suggests that meat lovers are the real reason the environment is in such desperate shape. “We need to see a drastic reduction in meat consumption to protect land, water and wildlife,” Stephanie Feldstein, population and sustainability director for the Center for Biological Diversity, is quoted as saying in the article. Feldstein blames cattle grazing on the decline of bears and wolves, as well as prairie dogs and elk. She must not have talked to anyone in Idaho or Minnesota/Wisconsin about declining wolf populations. If I had the chance to visit with these folks who dream of a utopic world untouched by humans, I would explain to them that grazing is not only beneficial for the land but it promotes a healthy wildlife habitat as well. Vast herds of unencumbered bison roamed and grazed America’s Great Plains for centuries, and modern cattle grazing mimics that nomadic behavior. Just as bison did, cattle aerate and fertilize the soil with their hooves, which promotes moisture retention and new growth of grass. They also convert the forage located on land that is unsuited to crop production into tasty and nutritional beef. 1. Reducing the risk of wildfires. 2. Enriching the lives of wildlife. 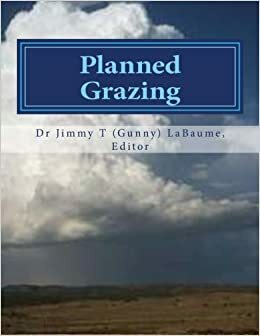 “A combination of livestock and wildlife management on grazing lands has resulted in better species survival than when these activities are practiced separately. 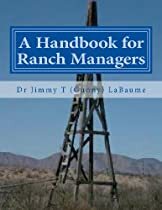 In the Eastern and Central United States, wildlife is almost entirely dependent on ranch, farm and other private lands; so, ranchers play an important role in the survival of native species. 3. Reducing our global footprint. These are excellent points with which to refute Barclay’s opinion piece on cattle and the environment, which is just that – opinion. To suggest that skipping a burger will save the planet is simply naïve and reckless. There are many other ways to reduce our carbon footprint, and going meatless is not one of them. What do you think about the article? Share your thoughts in the comments section below. Today’s free newsletter is supported completely from royalties earned on the sale of the books described below. Please help keep us going by buying the books if you haven’t already. Also, AND ESPECIALLY, please share with all your social networks and ask your friends and contacts to do the same. You are appreciated. So, who does that leave to protect you, your life, property and family? 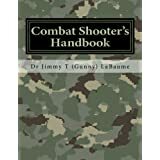 This Handbook is intended to help you exercise that right and meet that responsibility. 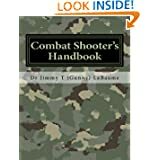 Combat Shooter’s Handbook is available from Amazon.com in both paperback and Kindle versions. This entry was posted in Cell Grazing, Managed Grazing, Managing the Ranch as a Business, Mob Grazing, Planned Grazing and tagged alan savory, mob grazing, planned grazing, restoration grazing. Bookmark the permalink.